First cut a 6" x 9 1/2" piece of Stampin' Up! Lost Lagoon card stock and fold in half for the base, a 4" x 5 1/8" piece of Stampin' Up! Blackberry Bliss card stock for the second layer and a 3 3/4" x 4 7/8" piece of white card stock for the front. Next randomly stamp the base with a stamp from a Stampin' Up! Gorgeous Grunge set in Blackberry Bliss ink. 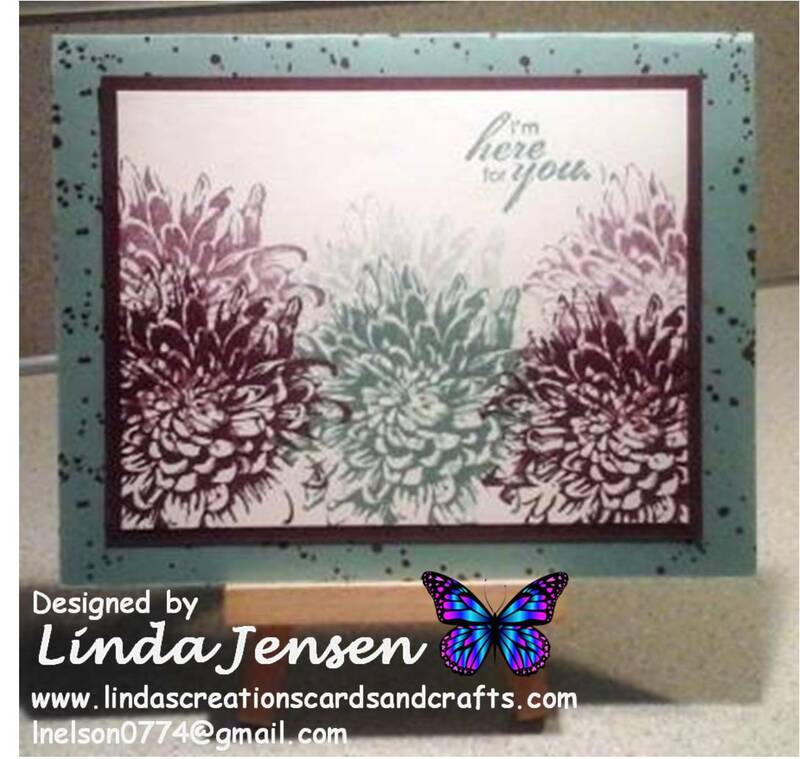 Then using a Stamp a ma jig stamp the lighter row of flowers with the double-stamping technique (ink your stamp, stamp on a piece of scrap paper then your card stock w/out re-inking) in Blackberry Bliss and Lost Lagoon inks. Next stamp the darker row of flowers as you normally do with the same colors. 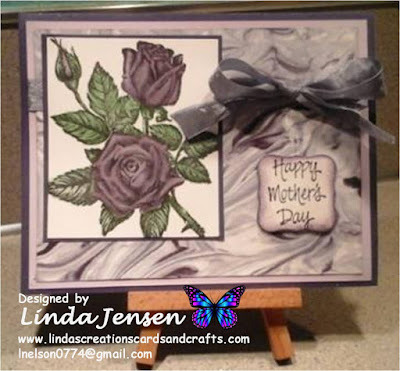 Then stamp the sentiment in Lost Lagoon ink, attach the front to the second layer then to the base and enjoy!